Offering you a complete choice of products which include bottle filling machines, pesticide filling machine, automatic fruit juice filling machine, automatic butter milk filling machine, liquid soap filling machine and vegetable oil filling machine. We are a highly acclaimed name in manufacturing and providing extremely efficient Bottle Filling Machines. We are a leading name in manufacturing and providing high quality Pesticide Filling Machines. 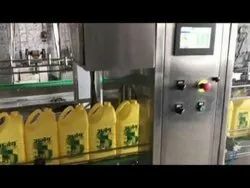 Our company has gained name and fame in offering Fruit Juice Filling, Liquid Filling, Coconut Oil Filling, Lube Oil Filling, Milk filling Machine to the clients. 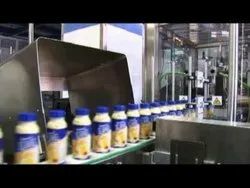 We are manufacturing and exporting a wide range of packaging machines like Milk filling, Edible Oil Filling, Lubricant Oil Filling, Juice Filling, Cleaning Solutions Filling, Ghee Filling Machines. 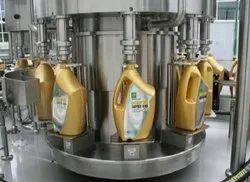 Automatic, Semi - Automatic Liquid Soap filling Machine Under the supervision of our highly skilled professionals, we are providing a high quality range of Liquid Soap Filling, Toilet Cleaner Filling, Cleaning solutions filling Machine. 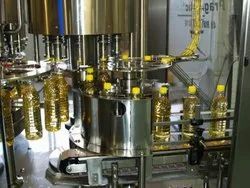 We are an acclaimed name engaged in offering our precious clients a superior quality range of Oil Filling, Edible Oil Filling, Lubricant Oil filling, Coconut Oil Filling, Cooking Oil filling, Mustard Oil Filling Machines. We are Leading Manufacturer and supplier of Engine Oil filling Machine, Lubricant Oil filling Machine, Capping Machine Sealing Machine Labeling Machine. 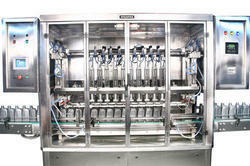 Fresh Milk Filling Machine Spheretech offers you Milk and dairy products filling solutions. We are Manufacturer and supplier of Cleaning Liquid filling Machine, Liquid Soap filling Machine, Toilet cleaner Liquid Filling Machine. 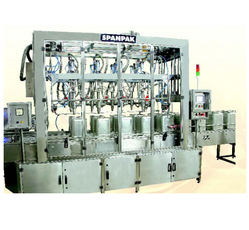 We are the manufacturers of Automatic Jar, Bottle Filling Machines. 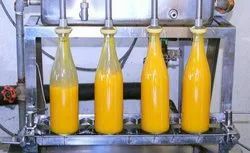 Filling Machine for Jars are recognized in the industry for their capability to efficiently handle the requirements of filling liquids in both low as well as high viscosities. We have many years of experience in dealing with a wide variety of chemical products and our machines have been designed to accommodate this diverse range of products. Our liquid filling machines are highly versatile, dependable and accurate in the dispensing of liquids. The equipments are able to handle thinner liquids and highly viscous liquids as well. We are a leading Manufacturer of Hair Oil filling machine, Edible Oil Filling Machine, lubricant oil filling machine, automatic mustard oil filling machine, servo based engine oil filling machine. Providing you the best range of pulp filling machine, juice filling machine, and bulk pack filler with effective & timely delivery. Looking for Bottle Filling Machines ?